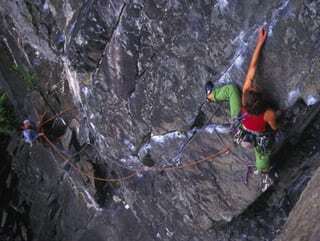 Classic rock climbing in Snowdonia, in North Wales, refers to beginnner or intermediate rock climbs in the Diff- Severe category and would include routes such as Flying Buttress, Main Wall, Faith Hope or Charity on the Idwal Slabs. 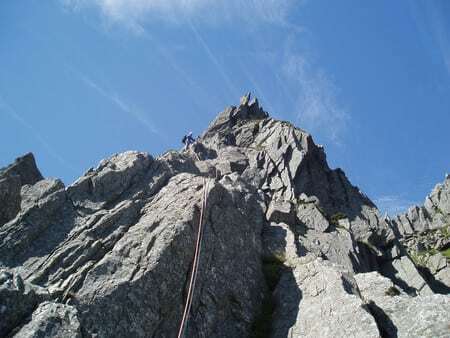 Some of the great Classic routes have a more mountaineering type nature involving long approaches and quite a lot of climbing, albeit at a low technical grade, so be prepared for a “grand day out”. 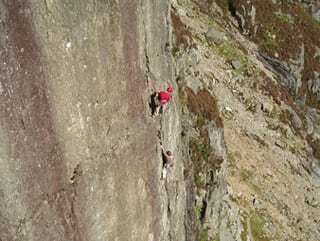 Routes like this would include some of the climbs on Llewedd or climbs such as Amphitheatre Buttress on Craig Yr Ysfa, or climbs on Tryfan for example. You need to have climbed before outside up to around V Diff grade, and be reasonably happy to walk uphill for up to 90 minutes before you climb and then a similar walk down. Lunch will be a picnic en route and you may climb with a small rucksack on some of the longer climbs.